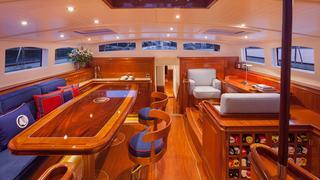 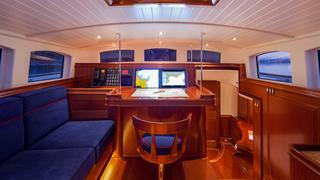 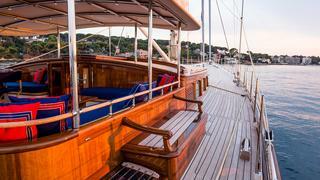 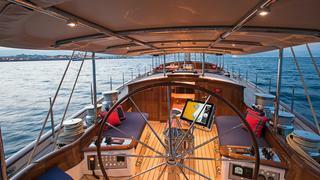 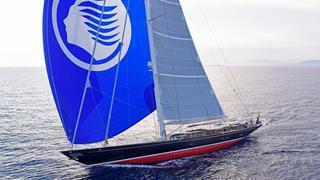 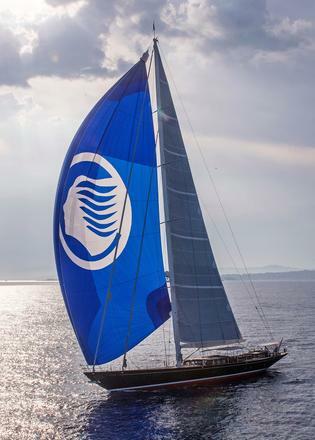 ATALANTE is a Truly Classic design (TC127) from Hoek Designs and constructed at the Claasen Shipyard. 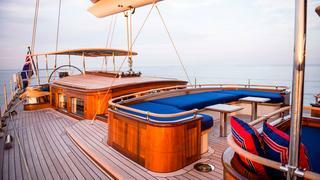 The 127 foot superyacht combines the elegant aesthetics of the 1930s with a modern hull configuration to achieve superb sailing performance. 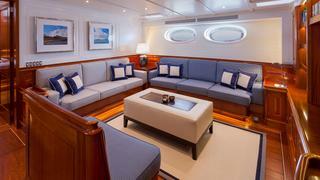 In terms of interior style, she has a classic look and feel with raised and fielded panels, white painted panels above wainscot level and a range of classic details. 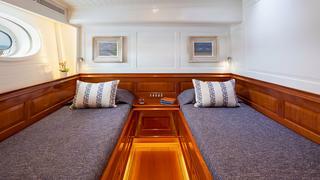 Her guest accommodation includes a double en suite master cabin with direct access to the aft deckhouse and forward to the salon and bar. 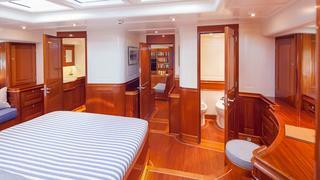 There are two further guest cabins - a VIP double to port and a VIP twin to starboard. 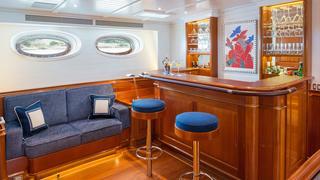 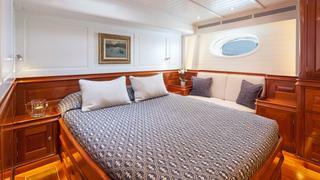 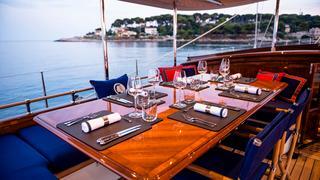 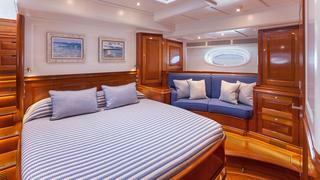 Both cabins are spacious and finished to the same high standards as the rest of the yacht. 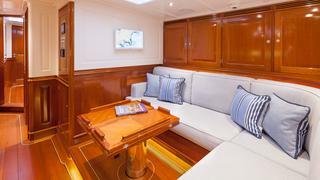 On deck there are two cockpits - one aft for sailing and one forward providing a safe, comfortable space amidships for relaxing or alfresco dining.